Home › Uncategorised › 2018 Maize Maze Theme Revealed! The escape room craze is coming to Burton on Trent with a twist as we launch the world’s first ever escape maize maze! 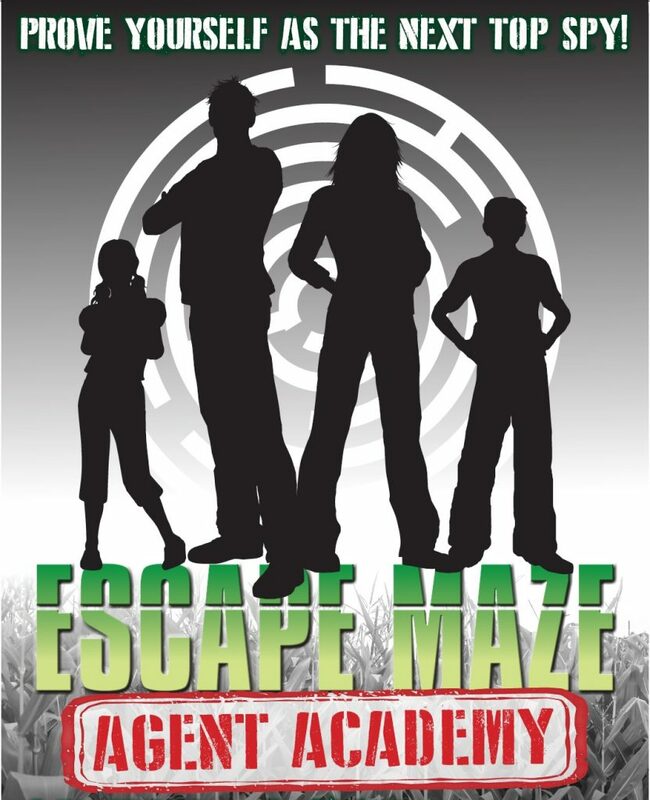 Escape Maze: Agent Academy will open on 14th July until 3rd September. We are really excited to be launching our new venture. Escape rooms are really popular at the moment so we wanted to go a bit further and mix two of our favourite things – the great outdoors and puzzles – in what we believe to be the world’s very first escape maize maze. The spy themed maize maze, which marks 65 years since the first James Bond book Casino Royale by Ian Fleming was published in 1953, will see families pit their wits against the maze and work together to graduate Agent Academy and become the next top spies. The escape room concept currently sweeping the UK started in Budapest in 2011 and since then thousands of puzzle solving rooms have appeared across the globe. The idea of using maize rather than traditional hedgerow to create a maze was first introduced in Pennsylvania in 1993. The National Forest Adventure Farm has been creating a different maize maze each year since 2004 with themes including Space, Shaun the Sheep and Pirates!